In this course, students will learn how to complete Thermal Simulation in Fusion 360. This course will start with the very basics and gradually introduce the software as well as the theory. We will then jump into real world examples of how to apply these simulations in 2 very different cases. The first is for electronics heat distribution and cooling, while the second application is a 3D printed branding iron that we want to optimize. 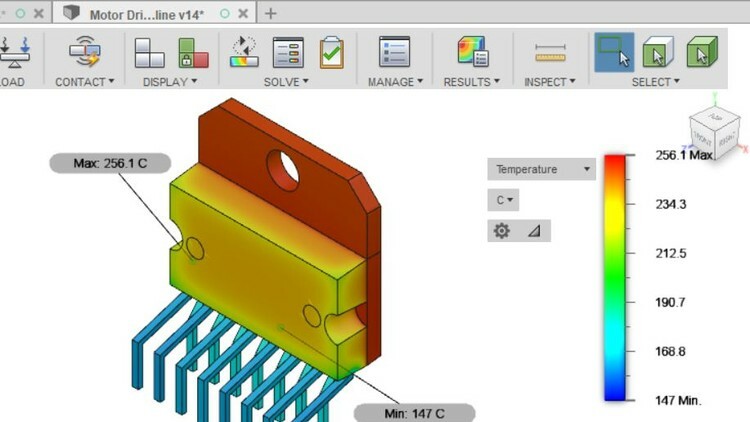 Learning how to conduct Thermal Analyses in Fusion 360 will benefit the student in multiple ways. Most Simulation courses in the marketplace are limited to teaching how to click through the software menus, while this course teaches the "why" behind menu selections. It also covers the math behind the analysis without going into numbing details. Students will have a more thorough understanding of how to virtually test their mechanical designs to ensure their products will be successful.